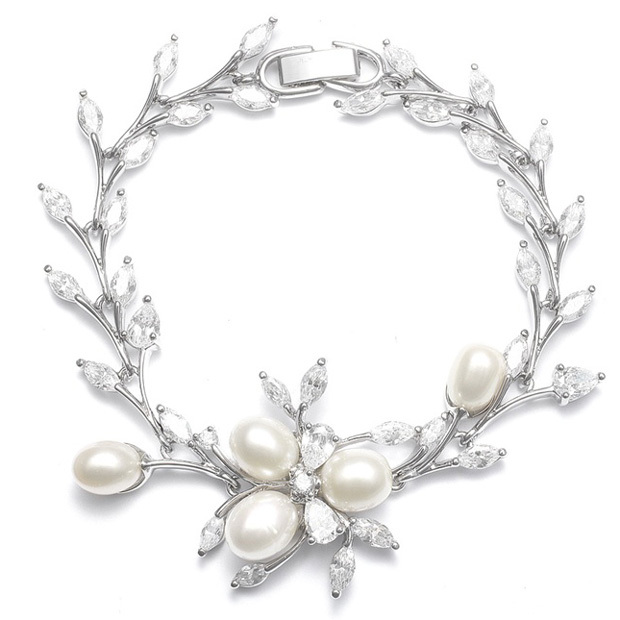 * Sheer elegance describes this silver rhodium bridal bracelet boasting lustrous freshwater pearls and brilliant Cubic Zirconia leaves. * The 7" silver rhodium bracelet measures 1 1/4" h at the center. 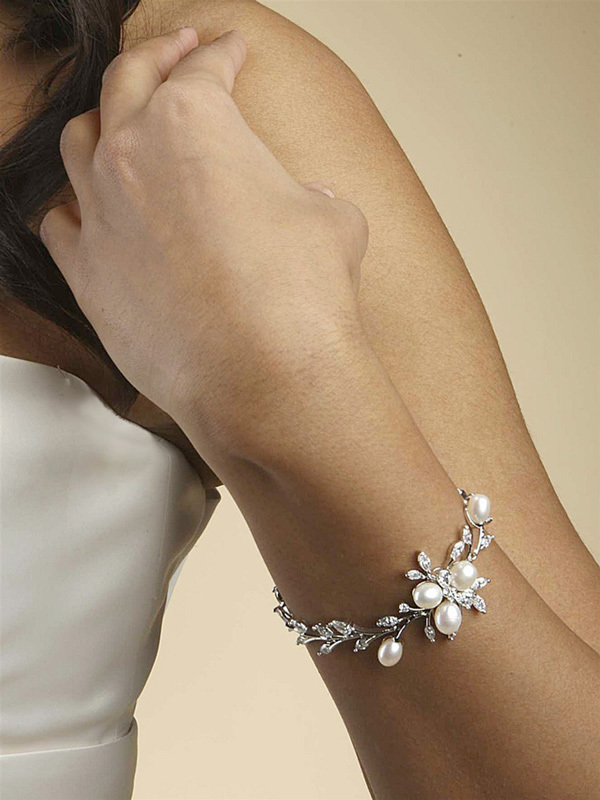 * This bridal bracelet has a beautiful coordinating necklace and earrings set style 3041S.